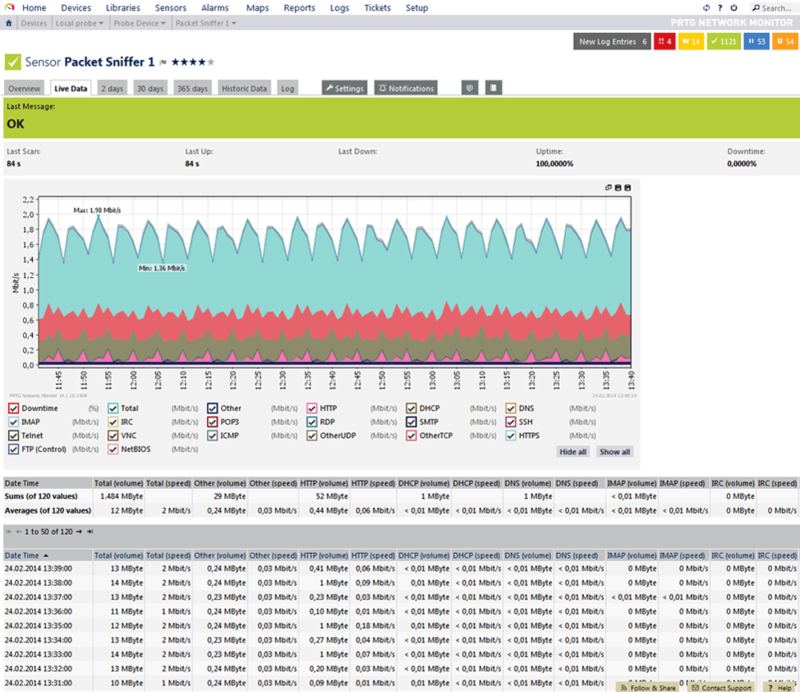 Easy to use network management software for bandwidth, usage, and availability monitoring. 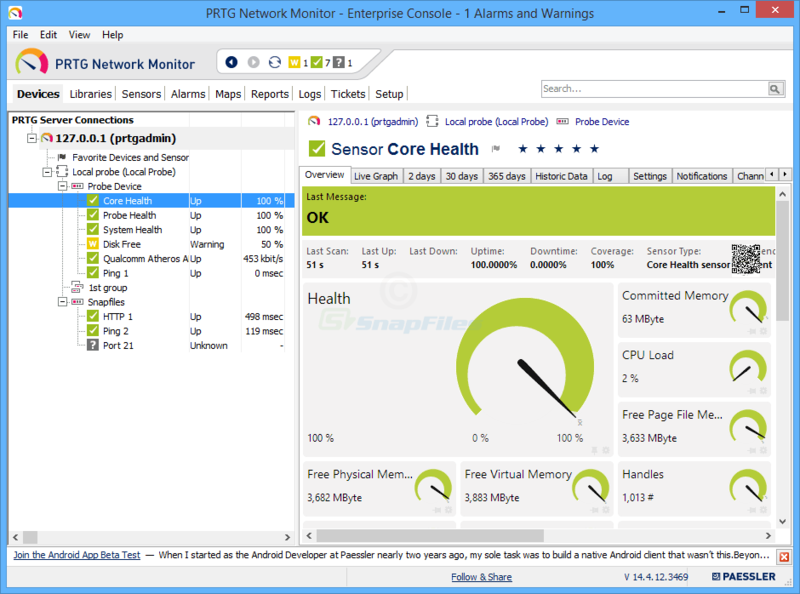 PRTG monitors your network using a whole range of technologies and assures the availability of network components and measures traffic and usage. PRTG saves costs by avoiding outages, optimizing connections, saving time and controlling service level agreements (SLAs). 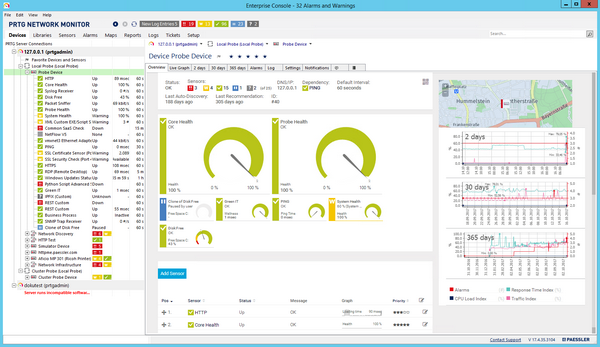 Monitor your entire IT infrastructure even on the go with our PRTG Apps: PRTG for Android, iOS and Windows Phone. Since then, we've made some great design and feature updates : we've redesigned the UI from the bottom up, added push notifications, full screen grap. Reports can be generated as HTML files and MS WORD documents · Includes a URL recorder (complete web browser) to select the URL(s) you want to test (rather than typing them into a list) · Works on any HTTP-URL or HTTPS-URL and can test. 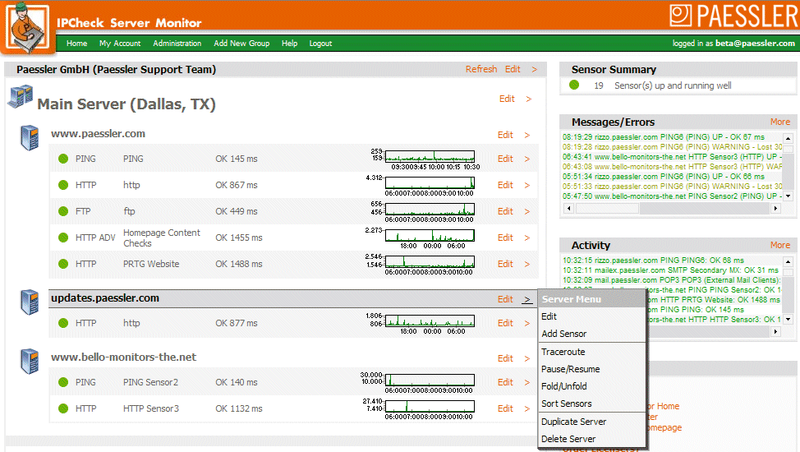 Monitor your entire IT infrastructure with PRTG Network Monitor. You have full insight into your network and its performance, to ensure that all business critical components of your IT infrastructure are running smoothly, with 100% uptime. Interested in PRTG Network Monitor? If you'd like to have a chat with us about PRTG Network Monitor, please select this option. If you'd prefer to email or phone us, our details are also here.